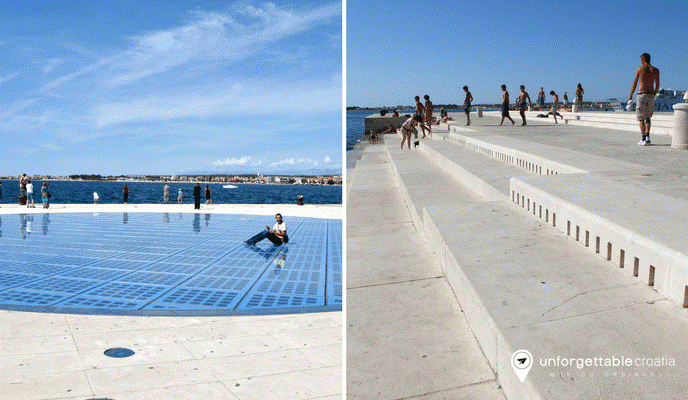 48 hours in the Zadar Riviera? Or stopping off whilst on a cruise? Below, we suggest the top 10 things to do in Zadar. 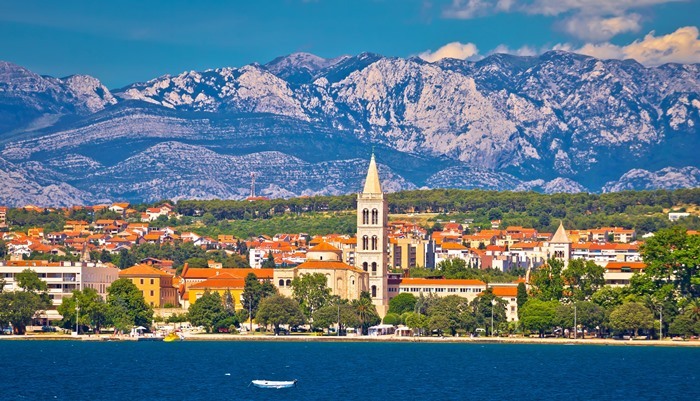 Although not as well-known as the coastal, walled city of Dubrovnik, or Zagreb, Croatia’s capital city, Zadar is quickly becoming a popular destination for travellers looking for a holiday that offers the perfect balance of culture, history and entertainment. Read our list of the top ten things to do in Zadar. 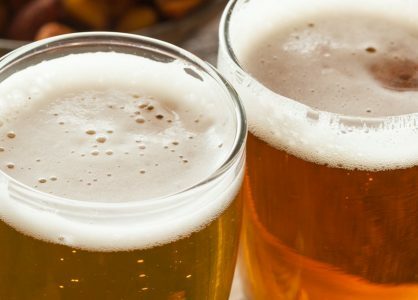 Zadar is growing in popularity. We recommend combining a couple of nights in Zadar with a Croatia island-hopping cruise. The Sea Organ is one of Zadar’s most popular attractions. The installation creates music from the sea. As the waves ebb and flow they push air through the 35 underwater pipes that stretch across 70m. The enchanting harmonious musical sounds can be heard all the way along the Riva promenade. The Sea Organ is the creation of Croatian architect Nikola Bašićis. It combines modern design and nature to create a unique attraction. Take a front row seat on the marble steps to enjoy the views and accompanying sounds at sunset. The Gold & Silver Museum is home to a collection of priceless treasures that have been preserved by the Benedictine nuns since WWII. The ancient exhibits include delicately embroidered fabrics that are embellished with golden threads, made by local nuns. The museum is housed in the Benedictine Convent of St. Mary. Although only open only for worship, St Anastasia’s Cathedral attracts plenty of tourists due to the fabulous views from its bell tower. The cathedral was built in the 12th and 13th centuries in Romanesque style. Inside the cathedral is St. Anastasia’s sarcophagus. From the bell tower you can enjoy panoramic views across St. Donatus Church, the Roman Forum and the Velebit Mountains. St. Donatus Church is widely considered to be one of the finest examples of Byzantine church architecture in Europe. The church’s rounded interior allows filtering light to create patterns at different times of the day. The church’s exterior flaunts impressive architecture. Within a short walk from St. Donatus Church is the Archeological Museum. Croatia’s history from prehistoric times to the Middle Ages is on display for you to explore. Greeting To The Sun is a solar powered work of modern art by Nikola Bašić that explodes into a kaleidoscope of brightly coloured lights, as you walk or dance across its glass surface. The installation consists of 300 multi-layer circular glass plates arranged in the form of an amphitheatre, with a presentation of solar system planets and their orbits. A visit to the Ancient Museum of Glass offers an opportunity to see demonstrations of glass working techniques, including bead making and glass blowing. The exhibits include ancient glass artifacts dating back to the 1st century, as well as modern pieces. The Zadar Pijaca is a traditional green market selling fresh fruit, vegetables, fish, and locally made cheeses and honey. This is the place to go to soak up authentic Zadar atmosphere, and bag a few foodie bargains. Zadar Market is a staple of local life. Built in 1918, the Zadar Sphinx wasn’t constructed by the Ancient Egyptians. Its creator was a local artist named Giovani Smirich, who built the monument as a memorial for his wife. It’s made of concrete and has fingers instead of paws. The fascinating Museum Of Illusions will test your senses, brain and eyesight. Among the fun exhibits are a bamboozling vortex tunnel, a room of distorting mirrors, and a room that alters your perception of the size of everything. You can also walk on the wall like Spiderman. 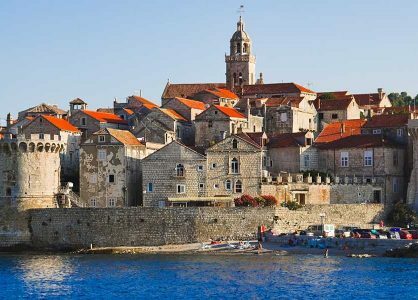 Have a look at our fantastic range of Croatia small ship cruises. Give our Croatia travel experts a call today to combine an island hopping Croatia cruise with a city break in Zadar. 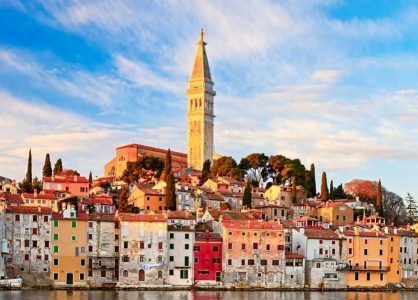 The northern Croatian region of Istria is a heart-shaped peninsula that offers access to both the seaside and hinterland.